Personality: A serene, kind-hearted and sagely man. He earnestly loves humanity and sought to bestow his wisdom upon them. He holds special regard for the modern day Chinese, whom he refers to universally as "My children". Since he feels the place of an emperor is to bear everything before him with an understanding expression, Rider rarely shows overt emotions on his face and hence can be mistaken for cold or uncaring. In fact, his heart aches with compassion for the plights of humanity. Rider has a scientist's mentality and enjoys tinkering with objects in his spare time. In the modern day especially, he will be delighted by the variety of technology found. He will say "Truly, humanity has advanced since my time." He also shows some traits more fitting of a stereotypical 'old man' such as being comically forgetful and having little common sense for the world. Whether these are his true traits or simply ones he 'wears' for his own amusement is unknown, however. Riding (A++)- Ability to ride animals. At this rank, any kind of Phantasmal or Divine Beast can be ridden, even those of the elusive Dragon class. Magic Resistance (C)- Cancel spells with an incantation below two verses. Cannot cope with the likes of High Thaumaturgy or Greater Rituals. Though born from the Age Of Gods, he had little natural resistance to sorcery and had to rely on other means to circumvent it. Charisma (A+)- Ability to inspire others and lead armies. At this rank, Charisma is so high as to constitute a kind of spell (curse) in itself. Rider was one of the world's earliest emperors, bringing together countless tribes of squabbling barbarians into one of history's most long-lasting and prosperous civilizations. His reign was considered an unparalled Golden Age and he not only earned the adoration of his people, but was even deified as a supreme ruler of the Cosmos. Script Magic (B)- Knowledge of the form of magic dealing with the ancient Chinese script. A precursor to the Rune Magic of the Nordic peoples. Rider can invoke his spells simply by tracing the relevant characters in the air directly, without need of preparation or incantation. As the inventor of the Chinese Alphabet, he holds mastery over all of its Esoteric secrets. However, since he is summoned as Rider and not Caster, his proficiency in this Skill has been lowered by one ranking. Wisdom Of Celestial Dragon (A++)- Knowledge from the celestial dragon Bai Zei, whom Rider encountered while on patrol at the Eastern seaboard. From this illusive creature Rider learned the secrets of all mythical beasts; their powers, weaknesses, forms, habits and how to overcome their attacks. These secrets were then documented in a book known as the 'Bai Zei Tu' which was unfortunately lost to time. When summoned, Rider retains encyclopedic mental knowledge for every kind of Phantasmal or Divine Beast existing in the world. Upon encountering such a beast, he merely has to search his memory for the correct way to deal with it. This even applies to Heroic Spirits of the Monstrous attribute, allowing him to divine their true identity, parameters and weaknesses at a passing glance. Divinity (C)- Measures one's aptitude as a Divine Spirit. A mortal man in life, Rider reached the level of Divine Spirit after his death due to the great worship he received from the Chinese peoples who held him as a Cosmic ruler. Various legends record him as a god coming down to Earth, or being brought up to Heaven as an immortal. Changhuan- Chariot Of Phantasmic Procession (A++, Anti-Army): Rider's majestic ivory chariot, said to be pulled by four dragons and a great white elephant. Since Rider as a Heroic Spirit lacks the Mana to truly summon said magical creatures, they can only be maintained in semi-corporeal form. The beasts exist in our reality just enough to pull his chariot while otherwise appearing as transparent, intangible 'spirit animals'. In fact, it is only a barest fraction of their true divine existence and power that is used to pull the chariot, while most of their essence is kept safely within the spirit realm. Representing his duality as a mortal emperor and divine sage; this ability to exist out of phase with physical reality also applies to the chariot itself. It may temporarily travel through the spirit world instead of the physical one, becoming transparent and passing harmlessly through any worldly obstacles in its path. This can only be used for short bursts of a few seconds or so, after which the chariot and all passengers are dragged back into the physical world. Spiritual beings such as Servants or the Noble Phantasms they carry are still capable of interacting with the chariot while it's within the 'spirit world', so it is mainly useful for bypassing obstacles rather then avoiding attacks from fellow Servants. Upon invoking its True Name, Rider's chariot rushes forth as a procession of tigers, wolves, serpents and flocks of the fabled Phoenix birds materialize in an otherworldly procession to accompany its passage. The might of this stampede of Phantasmal and Divine Beasts is sure to utterly annihilate all enemies caught in its path, bowling over them with the combined power of an A++ ranked physical attack. During the charge, all beasts, including those pulling the chariot are fully incarnate in the world. The four dragons and elephant lead the attack, letting out a deafening roar as they charge down the enemy in an unstoppable display of ramming power. Though only for a brief time, simply sustaining this many great beasts in existence is sure to tax Rider's Mana supply severely. It could be said that this charge is when the chariot comes closest to the true power it held in Rider's lifetime. Even so, comparing the two, the difference is like that holding between Heaven and Earth. Incidentally, this is the same chariot Rider invented during the battle of Zhuolu, to guide his army through the heavy mist breathed out by enemy war god Chi You. Installed at its front is a doll-like figure along with a sophisticated mechanism to insure it will always point southwards no matter which way the chariot turned or what direction it took. While not much compared to its other abilities, this power of 'always pointing south' insures Rider and his allies are never without proper direction. Fènnù Nüba- Come Forth, Oh Daughter (B+, Anti-Army, Anti-Land): A Noble Phantasm representing the incident where Rider called upon his daughter, the primordial draught goddess Nuba to dispel the storm summoned by his adversary Chi You. By invoking this Noble Phantasm's name, Rider may call upon his daughter from Heaven once more, materializing high up in the air as a beautiful feminine figure with cracked blue skin, glowing golden eyes, flowing green robes and hair. Nuba's arrival invites the concept of 'draught' upon the surrounding terrain. Everything within range begins to be drained of its moisture at an incredibly rapid pace. Fields dry out, crops wither away, clouds are seared from the sky and rivers evaporate on the spot. Not even living creatures are spared its effects. Ordinary humans or animals caught within this Noble Phantasm's zone of influence (a half-sphere spanning a quarter-mile in diameter, the apex of which is at Nuba herself) will have the water literally ripped from their bodies, reducing them to dessicated husks in a matter of moments. Magi may be able to last for minutes depending on their level of magical energy while most Servants should be able to weather it for several hours. All moisture drained through this Noble Phantasm is taken up into the sky in the form of spiraling streams of water that are then absorbed into Nuba herself, replenishing her cracked complexion. An Anti-Army Noble Phantasm that inflicts desolation upon the earth. If left continually active, a sizable verdant countryside could be left a scorched, arid wasteland. By its very nature it also renders impotent any form of storm or water based Magecraft, through depriving them of a medium to work by. Because of the great harm it invites upon the surrounding area, Rider will utterly refuse to invoke this Noble Phantasm in populated areas such as cities. Even in uninhabited areas such as countryside, he dislikes the way it disrupts the natural order. Nuba herself has physical existence and can be targeted by attacks. She will flee from the battlefield if struck, taking the draught with her. But considering how high up she is, there are few attacks that could reach her. Otherwise, the only things that can halt it are Rider's own will, his death, unconsciousness or running out of Mana to sustain it. It goes without saying that Rider himself and all his allies are immune to the effects of this Noble Phantasm. Huánggōng- Transcendent Palace Beyond The Eastern Seas (EX, Support): Rider's greatest trump card. A Reality Marble that overwrites the surrounding environment with the symbol of his Imperial authority; a gigantic and incredibly opulent palace of red, gold and silver. This palace is Rider's homeground; he has perfect knowledge of each and every hallway, door and crevice contained within. At the utmost center lies a great, gleaming throne of pure ivory from which Rider can sit to conduct his ruling. Rider was alleged to be the human incarnation of Shangdi, the supreme divine being whose existence regulated and sustained the natural world. Shangdi is the primordial god worshipped by the Chinese people; one whom all Emperors were named after. Within this transcendent sanctuary Rider may tap into that divine aspect of his legend, granting him powers far beyond what he could possess as a mortal. As a supposed incarnation of Shangdi, Rider obtains a number of benefits. 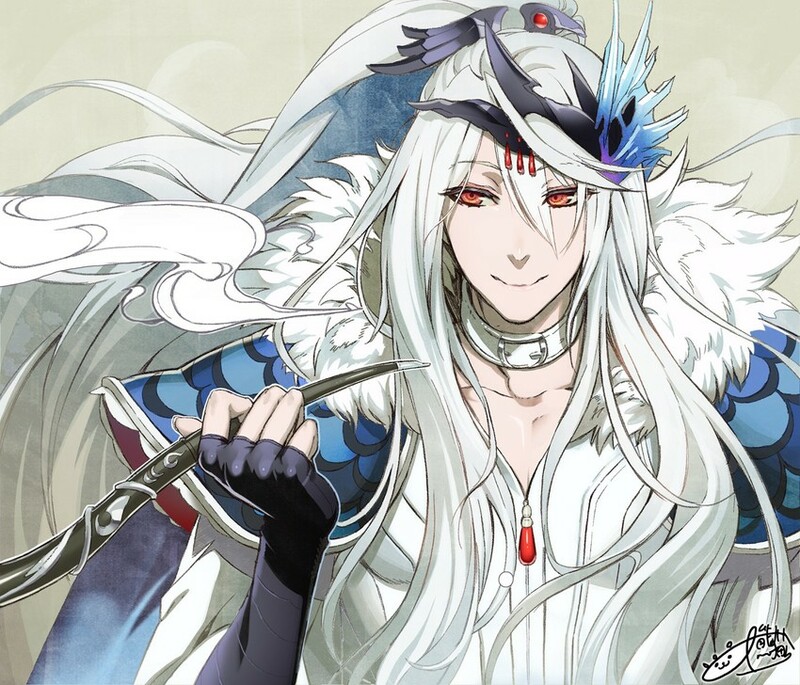 His rank in Divinity rises to A++ (the closest to true divinity as approximated by the Grail system) and he gains the Clairvoyance Skill at rank EX (Huangdi as a god was often depicted with four faces gazing in four different directions, looking out over creation). Additionally, Rider can summon and control a variety of lesser Chinese Gods as familiars (albeit in highly weakened form) and utilize incredibly powerful elemental Magecraft deriving from the five Chinese Elements. Clearly an incredibly powerful Noble Phantasm. However like most Reality Marbles, it can only be sustained for a brief time before exhausting Rider's magical energy. Also his chariot Noble Phantasm is sealed while this one is active, since in Rider's words, "What kind of Emperor traipses about his own palace in a chariot?" Last edited by RoydGolden; July 24th, 2016 at 02:52 PM. Reading Campbell's Romance of the Grail: The Magic and Mystery of Arthurian Myth. Googled this person who was mentioned. Damn, she's Richie's mother. Made a sheet. It's been a while. Easily mistaken for a girl who is in love with love. Eleanor is actually a girl addicted to sweets (love stories). Coming from two dysfunctional marriages her only wish to live vicariously through the loves of others. On the other hand, because she is obsessed with the love lives of others, she does not consider her own. It might be possible to say she has no interest in her own love life. Therefore, while her Court of Love seems like a harem of eligible bachelors, that is a misunderstanding. At her core, Eleanor has the soul of a matchmaker, finding great loves for those in her court even if they will all end tragically. But alas… no matter how tragic the ending, isn’t love still so beautiful? A few years later, her son, Henry started a revolt against his father,Henry. Eleanor supported this revolt and when it was put down, she was imprisoned. It is only after her husband’s death that Richard the Lionheart released her as one of his first acts as king. During the Third Crusade, she ruled as regent in Richard’s place. She even personally negotiated his ransom when he was captured. She eventually survived Richard, living into the reign of King John. Eleanor is summoned as a Caster even if she is not a magus because of the troubadour and bardic tradition which she was part of and “revitalized.” It is believed that the first ones who sang the songs Eleanor idealized and popularized were Celtic fili as it was one of their duties to convey the oral tradition. The Fili were an elite class of poets who were though to originally be seers, telling the future in verse or riddles. Eventually their songs were distorted throughout the eras and even if they now read instead of spoken, they still existed. Some of these stories are commonly known as the exploits of the Knights of the Round Table. While she is not a true fili her life and her deeds embody an essential part of being one. She has allowed their culture, their mythology, no matter how distorted and warped it has become, to proliferate and survive. Because of this, she toes her way into the territory of Casters. Can construct a territory that is advantageous to oneself as a magus. The formation of a “Court” which can be considered a “Temple of Love” is possible. Rather than a creator, Eleanor was more of a patroness. A combination of Enchant and Golden Rule. By using one’s immense resources, it is possible to inspire a creator to elevate the level of their creations. An infatuation with works of art. The corresponding Noble Phantasms are those that appear in the Romances popular in her era. Charismatic nature that charms those who surround her. Just by existing, knightly individuals who seek to protect her are drawn towards her. This skill reaches EX rank only because of her Noble Phantasm. Within three generations she was the ancestress to all the royal heads in Europe. All those who are descended from her will automatically join her Court. Established in Poitiers after the breakdown of her marriage with Henry II this legendary court served as a sanctuary for the ideals of the troubadours. In this realm, only the rules of courtly love and chivalry exist. It is not an actual structure, but a bounded field superimposed on a specific structure. The bounded field is not cast around the dwelling, but the dwelling itself becomes the bounded field. Coupled with Eleanor’s embodiment as “the source of the Late Chivalric Romance,” as well as her concept as “the one who established and popularized courtly love,” this Noble Phantasm twists fate for all those who step inside the court. Needless to say, a great adventure and a tragic love affair is what will be in store for them. Even if this is the fate that awaits them, all Servants with knightly deeds or a ‘cultured upbringing’ cannot help but step foot inside. And those knights who gather under its eaves must protect their Queen. Even if she does not know it Eleanor is not exempt from the court’s effects. The only way to avoid the effect is to not step foot inside the bounded field or have non-standard luck. Last edited by You; July 23rd, 2016 at 02:24 AM. Eleanor is pretty cool. Sounds very much like a Caster in the vein of Shakespeare. Weak and has pretty much no offensive options, but with her NP I could imagine her building up an army of incredibly devoted individuals to protect her. Overall, she'd be a very unique and fascinating Servant to see in a Grail War. By the way, I'd still like some feedback on my Huangdi profile on the previous page. Thanks! Don't do it for feedback. Do it because you want to. Begging for feedback is just obnoxious. I don't do it for the feedback, but I still wouldn't mind getting it. Otherwise there's little difference between posting these here and just keeping them stored away on my Notepad file. Notepad doesn't have pretty pictures. Remember that other Dreamworks animated movie about a Bible story starring Batman? Magic Resistance (B): Cancels spells three verses or shorter. upon encountering them. If they possess a means of concealing these, he can make a LCK check to overcome it. God's Resolution (N/A): Ruler possesses two Command Seals corresponding to each Servant in the current Grail War. true nature of a person and what burdens them. able to unlock his comprehension of languages, enabling Ruler to learn over seventy languages in a single night. Pharaoh was asked why he would give so much power to a slave, he said that he discerned royal qualities in Ruler. of the cup is the ability for Ruler to know to location of anyone other than him who holds the cup. can only sustain such a release for an infinitesimally small amount of time without a similarly infinite power source. If timed correctly, however, he can effectively raise his Magic Resistance to EX for an instant to intercept an attack. it will disintegrate into nothing, just as it was ripped to shreds in life. 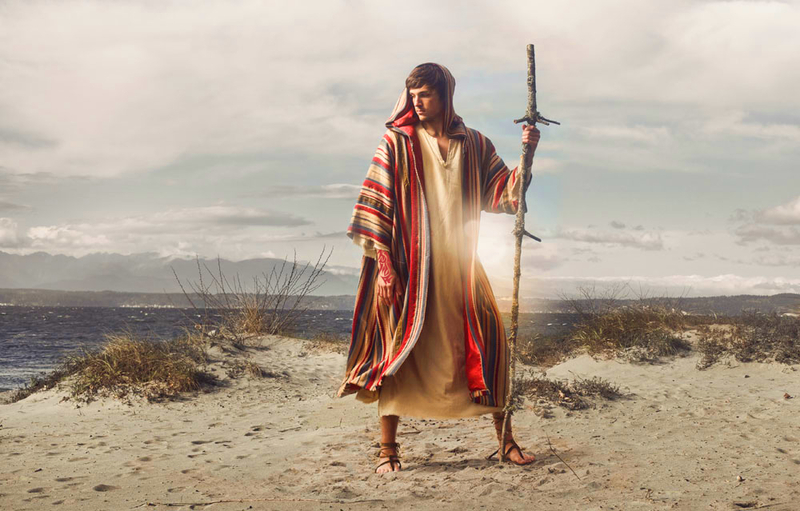 ten children, Joseph became the favorite, a miracle child and was given a richly ornamented robe of many colors. this angered his brothers and made them jealous. prized coat and covered it in goat's blood. They showed it to Jacob, who became depressed and heartbroken. and he was thrown in prison. of Egypt, and gave him the daughter of the high priest as his wife. him as their brother, now in his late 30s, but Joseph did. After questioning them, he accused them of being spies. their story. He sent them back to Canaan, keeping Simeon (the second eldest) as a hostage. place, saying he could not bear to make his father suffer and lose another son. meant for evil God had meant for good. He told them to go and bring their father and his entire house to Egypt. said he was able to die happy now that he knew his beloved son was alive. the help of Serah bat Asher, found his bones in a lead coffin in the Nile. Last edited by Funderfullness; August 1st, 2016 at 10:30 PM. Ruler! Joseph is amazing. I planned on doing Joseph myself once (as a Caster) but disgarded it since I didn't feel the idea was compelling enough. We had a similar take on the coat of many colors, though mine was just limited to elemental Magecraft while yours is way more hax (definitely deserving the EX rank). I'm not sure if Joseph really merits such a powerful NP but it's cool, so whatever. Unified Language (False) is a very creative take on his lore. I probably would've just given him a generic 'Dream-Interpreting' Skill but yours is far more interesting. Maybe you'd get more feedback if this was in the Fanfic forum where other like-minded users gather. For one thing, no, from my experience the fanfic threads are even worse in that regard (I've lost count on how many of Crossover ideas have been ignored). And for another, why shouldn't this be a place for like-minded users? As in, all enjoying to write and discuss Servant ideas. I don't think you know what the pluses and minuses mean. Pluses mean that in certain situations the stat is higher than what it says. For example in certain scenarios C+ can be greater than B or A. Where as a minus simply represents that the ranking is unstable. For example C- could actually be lower than C and be closer to D rank. But, you have a point I went a little crazy with the pluses on that sheet. I have edited them out for the most part. So without further ado, remember that other Dreamworks animated movie about a Bible story starring Batman? Technicolor Dreamcoat just makes it damn near impossible to find a good faceclaim. well ok then. I wouldn't know but you'd think that should be the place. it will happen if it happens. all enjoying to write and discuss Servant ideas. I mostly open this thread so the forum doesn't tell me I have unread posts in this subforum. Most of the Servant ideas here aren't that great. Plus I don't read fanfics and this is a very fanficy kind of thread. I mostly open this thread so the forum doesn't tell me I have unread posts in this subforum. Has anyone done a post for Saber Gawain, if so can anyone tell me where the hell to find the bugger? I will start a new beginning. And I will rise as a true king. There is No Beginning without an End, And no Ending without a Beginning. So at our End we are just Beginning, and at our Beginning our End has already been chosen. For in life we are just traveling till Our Final Page in the Book of Time.